Saturday 13th April 2013, the tension is increasing. For several hours now, the group of French policemen aboard an unmarked vehicle have been discretely following a minivan on the freeway. They left Marseille in the south of France a long time ago, and as they get to Paris the van steers towards Belgium. They aren’t there yet. The passengers of the followed vehicle are oblivious to being chased, and much later, they reach their final destination: the port of Rotterdam. Having been informed by the French intelligence, the Dutch police stand close to the red chemical tanker named “Laguna D”, where the minivan crew starts to unload their diving gear: wetsuits, air tanks, as well as underwater propellers and inflatable parachutes able to move heavy underwater objects. Not exactly the type of equipment used by amateur scuba-divers. The three suspects are seized before they have the time to get wet. These individuals have a history known by the police force, and by cross-checking the informations, the policemen figure out the goal of this 1200 km journey: the Frenchmen were here to collect a torpedo that had been attached to the hull of the “Laguna D”. The roadmap of the chemical tanker shows calling at ports in Venezuela and in the Netherlands Antilles. A while later, the “narco-torpedo” reveals its cargo to the dumbfounded policemen: 101 kilos of pure cocaine, worth around 7 million euros on the market after having been cut and distributed. This “narco-torpedo” is definitely an atypical catch for the European police, more used to the “Go-fast” method. These high velocity boats with thousand horsepower engines are often used in the Mediterranean around the Gibraltar strait to smuggle the North African haschish to the much coveted European market. When the distances get longer, it means more intermediary individuals. This increases the risks as much as the final prices. It is thus in Asia and Australia that the cocaine reaches expensiveness found nowhere else. To get to these markets, the drugs have to go through countries that use all possible means to eradicate the narco-business. The risk-reward ratio goes through the roof. Take Indonesia for example, where death penalty is still enforced. The jails are filled with westerners who were caught drug trafficking, sometimes unbeknownst by themselves, and spend decades in the death row. One of the most famous cases is Michaël Blanc’s story, a young French who was 26 years old in 1999 when he was arrested in Bali. He allegedly brought 3.8 kilos of haschich concealed in scuba-diving air tanks which he said were given to him by a friend. He never stopped claiming his innocence, and was finally released on bail the 20th of January 2014 after having spent 15 years in jail. Before being able to go back to his family in France, he must remain in Indonesia until the end of his sentence in 2017. Michaël Blanc is far from being an exception. A brilliant book has been written on this subject: “Snowing in Bali” by Kathryn Bonella. During her 18 months investigation, the author was able to meet with many westerners that had been sentenced for the same reasons, and she depicts their story and quality of life in the notorious “Hotel Kerobokan”, Bali’s prison. 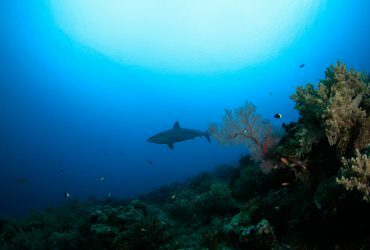 The book describes many attempts of smuggling drugs to the “Island of the Gods” using equipment for water-related activities such as scuba-diving, bodyboarding or surfing. Prior to 1994, until the authorities were made aware of this technique, a popular way to smuggle drugs in Bali was to conceal them in surfboards. 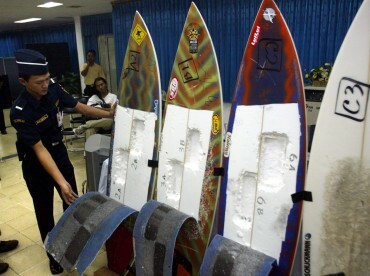 But in 1994 a surfer got caught with more than 4 kilos of cocaine in two of his surfboards. He had paid his shaper back home for the extra job. The customs officers decided to take a closer look when they found a saw in his luggage. In this game of cat and mouse, the South-Americans have proven to be the most resourceful, and by far. There is an explanation for this: most of the world’s cocaine production comes from Colombia, Bolivia and Peru. This drug is the most profitable of the narco-business, but it needs to travel thousands of kilometres to reach North-American, European or Asian consumers. Smuggling massive quantities of cocaine on long distances has been a brainteaser for the drug cartels for decades, and they have been using the sea as playing field for a while. The air and land routes have become too problematic recently. There is a smuggling technique whose complexity is only equalled by its ingenuity: the narco-submarine. 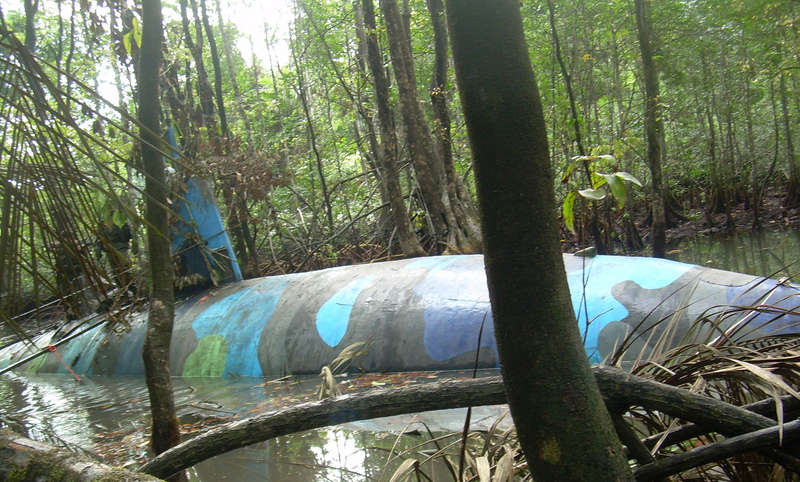 Deep in the jungle, people have been building pocket submarines that are able to discreetly transport several tons of drugs while floating underwater. For many years, the existence of these narco-submarines was known to exist but nobody had been able to capture one, let alone photograph one. This is why they were baptised “Bigfoot”, still being a mythical object. In 2006, the legend dies in Costa Rica with the capture of the first Bigfoot. The photos are posted on Internet and the story goes viral. Since that day, not a year goes by without the seizure of several of these artisanal submarines. It is also between Colombia and Mexico that the first “narco-torpedo” was seized. The one that was found in Rotterdam in 2013 was the very first to have been apprehended after crossing the Atlantic Ocean. How much longer before we witness landings of narco-subs in Normandy? First they will have to face European nuclear submarines. The game is on.